THE WOODLANDS, Texas — SpaceIL’s lunar lander performed a maneuver March 19 that puts the privately developed lander on course to enter orbit around the moon next month. 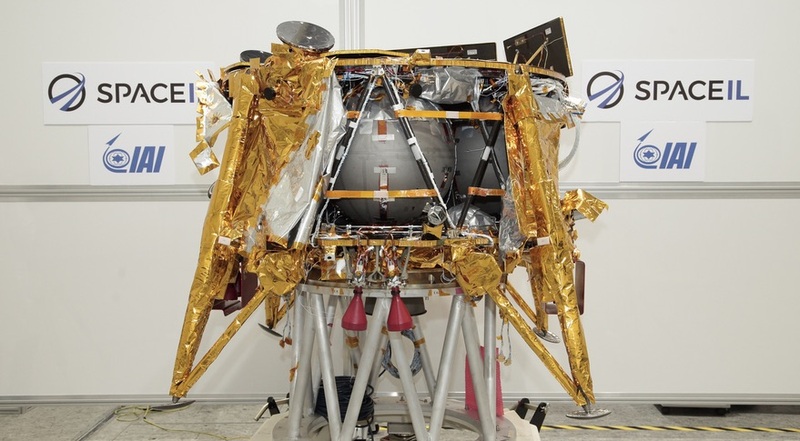 SpaceIL said its Beresheet lander performed a one-minute burn of its main thruster at 8:30 a.m. Eastern, extending the apogee of its orbit around the earth to 405,000 kilometers. The spacecraft is “functioning as expected,” the organization said in a statement. Beresheet is on track to arrive at the vicinity of the moon April 4, going into orbit around it. A landing in the Mare Serenitatis region of the moon is scheduled for April 11. Doron said recent maneuvers have not been affected by problems with the star trackers on the spacecraft that have not worked as expected because of interference with sunlight. “We’ve learned to deal with the difficulties we’ve been having with the star trackers, and what that entails in maneuvering the spacecraft in a non-nominal fashion,” he said. The challenges will grow next month when Beresheet attempts that landing, Nir said. The lander will be “landing blind,” he said, relying on laser rangefinders and a Doppler radar system. While SpaceIL originally developed the lander as a one-off mission in a bid to win the now-defunct Google Lunar X Prize, IAI is looking ahead to commercial applications of the spacecraft. The company announced a partnership with German company OHB in January to offer commercial lunar payload delivery services, initially for ESA. Nir said the company is looking for other customers. “We’re taking the lander to market,” he said. IAI is planning “slight modifications” to the Beresheet design, particularly to the upper deck of the lander, enabling it to support payloads weighing 30 to 60 kilograms, depending on the orbit the lander is initially launched into. That lander would be ready for missions starting as soon as the end of 2020. IAI is not directly eligible for NASA’s Commercial Lunar Payload Services program, since that requires spacecraft be built in the United States. Nir said IAI was talking with several American companies about teaming arrangements that would allow the lander to be built in the U.S. and become eligible for future rounds of the program. “That’s a viable opportunity,” he said. Future versions of the lander, he said, will incorporate precision landing technologies as well as the ability to hop across the surface from one site to another. The lander was originally designed to hop in order to meet an X Prize requirement to travel at least 500 meters across the surface, but SpaceIL decided not to pursue that for this mission after the prize expired.